Did you ever wonder why publishers & agents are so concerned about formatting? 1. It’s easy on our eyes. The double spacing, simple fonts, and wide margins minimize editor eye strain. 2. There’s room to write our notes when we edit by hand. Yes, sometimes we still print out entire manuscripts and mark them up! We notice different things while editing on paper that are often overlooked on a computer screen. 3. It lets your writing stand out. Editors and publishers are looking for high quality writing, strong characters, and complex worldbuilding. Ill formatting can be enough for an editor to put a piece down, before they ever read your writing. Think of standard manuscript formatting as the simple, but elegant, picture frame that enhances your amazing work. I work with clients to help their writing stand out. One of the things we do is build good habits and practices into our daily work routines. 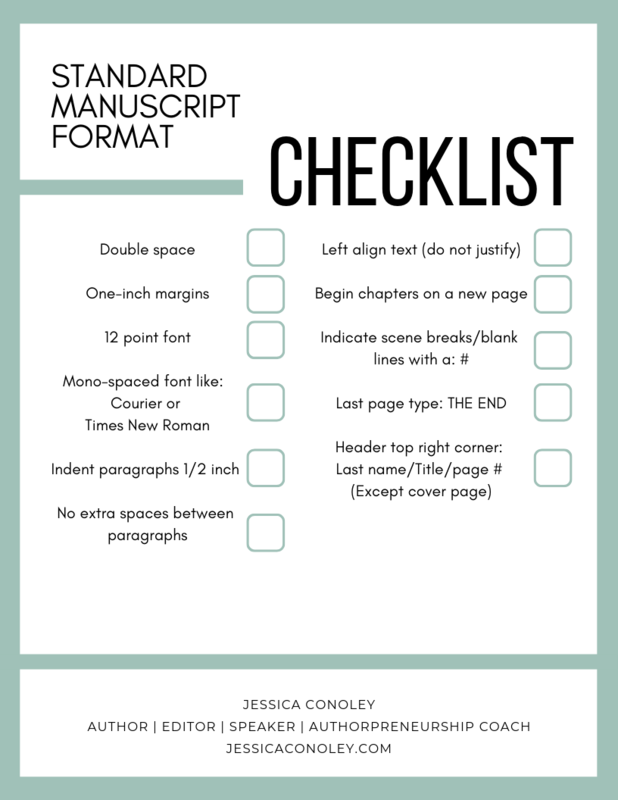 I included my standard manuscript format checklist, so you can ingrain this writing standard into your writing process.